La Laguna Playground, affectionately known as “Dinosaur Park” by its guests, is a whimsical play destination that has been delighting children since 1965. The park is known for its 14 concrete monster sculptures designed by Mexican artist Benjamin Dominguez. The sea creatures include a dragon with a slide built into it, an octopus with eight legs to climb on, and a whale with a cavernous mouth to explore. 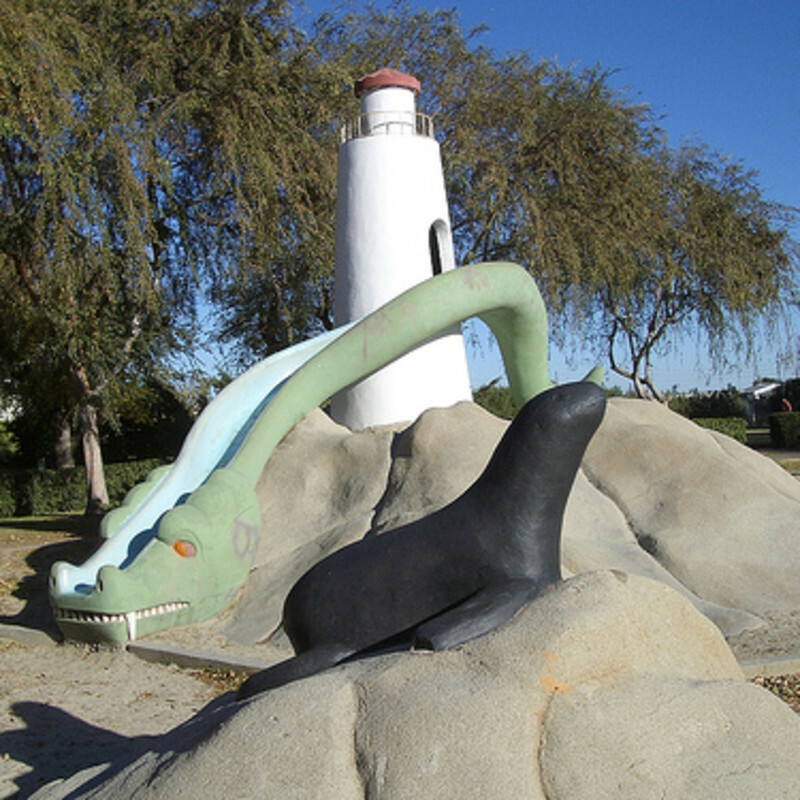 The park was slated for demolition but luckily a group of preservationists stepped in and the colorful sculptures were restored for more generations to enjoy.